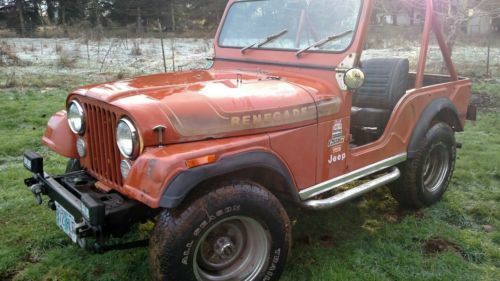 Very original 1976 Jeep Renegade CJ-5 Levi addition. It has original paint on it for the most part (great look). The Jeep runs very well with original 304 and three speed manual transmission. I drove the Jeep daily to work during the summer the last two years at around 70 miles round trip. 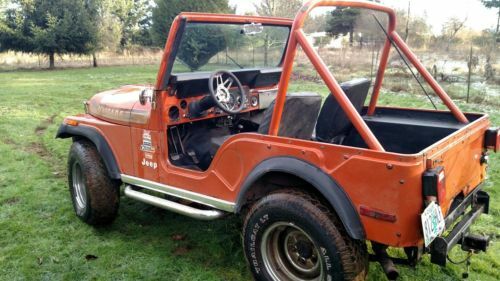 It has power steering, with new tie rods, new steering box, new fuel tank and sending unit. 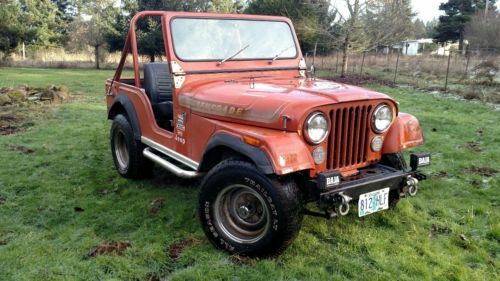 Please look over pictures carefully there is some rust on rear panel, and two spots above each molding on the side of the Jeep.The Jeep does not have a top.If you would like a top installed prior to shipping we can work a price out. 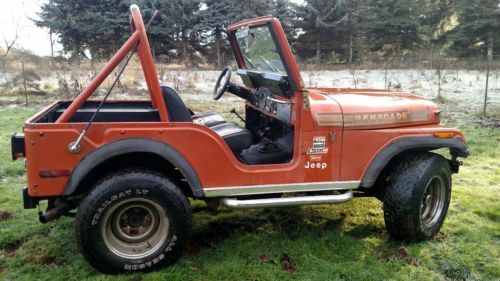 Please do your research if this is something you want to pursue.Please ask all questions prior to bidding and please do not bid if you are not serious about purchasing.I can take more pictures on request.Jeep being sold as is with no warranty. Shipping is the responsibility of the winning bidder.Thanks, happy bidding!